Do you have a kid's birthday party right around the corner and you're trying to come up with some great ideas? Do your kids refuse to eat certain foods and you need some kid-friendly recipes for picky eaters? Maybe you're a picky eater yourself or you just want to eat some healthy snacks that don't look so boring. 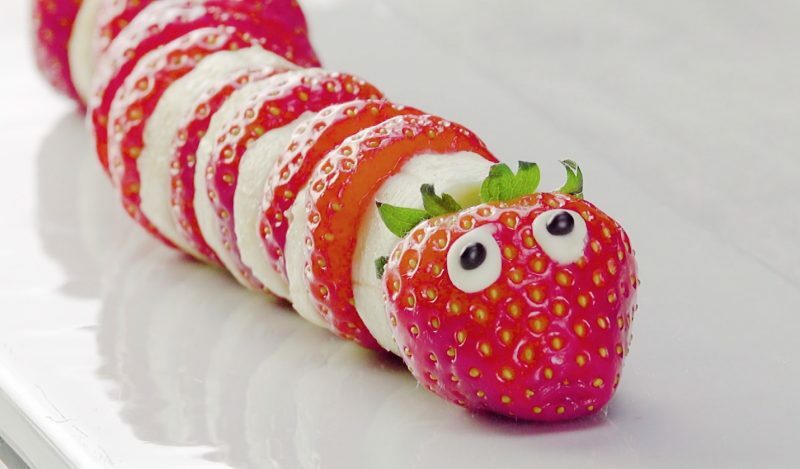 Whatever the reason, you and your children won't be able to resist these fun fruit ideas that are too cute for words. 1. 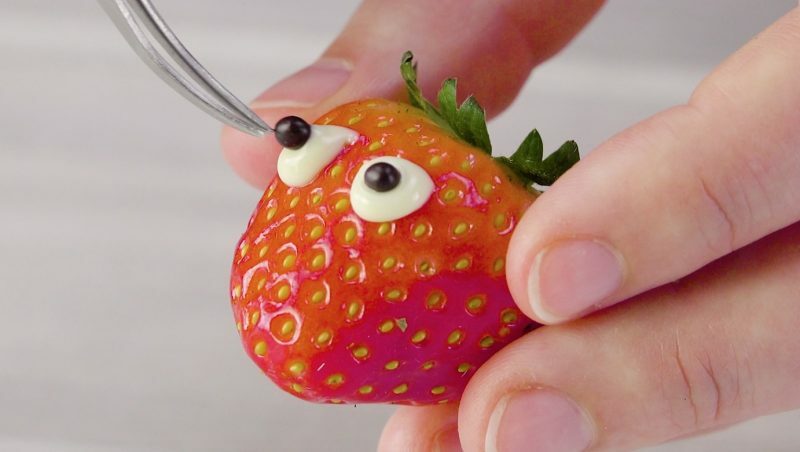 To create eyes, take one of the whole strawberries, add two small blobs of white chocolate near the top, and place a black sugar pearl or mini chocolate chip in the center of each blob. 2. Now it's time to assemble the caterpillar. To do this, place one banana slice and one strawberry slice behind the strawberry head, and alternate layers until you have used all the fruit slices. Cut the stem off the other whole strawberry and place it at the end. Remove the core from the apple slice and cut the grapes horizontally into 4 thick slices. Cut a toothpick in half and stick one half through the top of the apple slice and the other half through the bottom of the apple slice, as seen in the video. 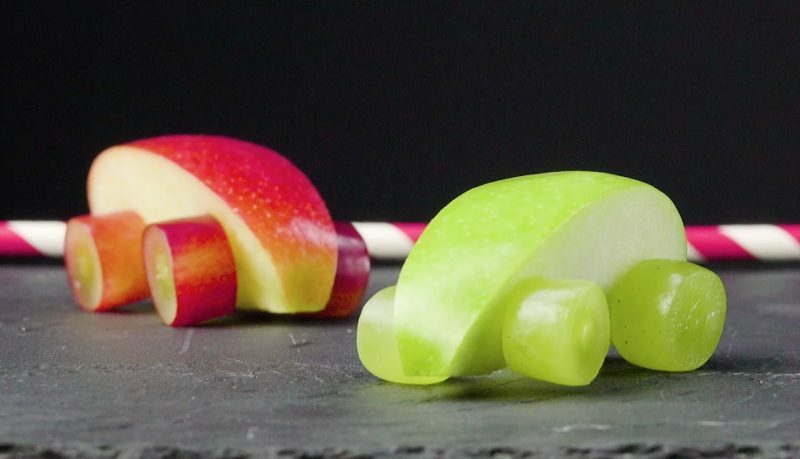 Attach the grape slices to the toothpick so they look like car tires. 1. Peel the pear without removing the stem. 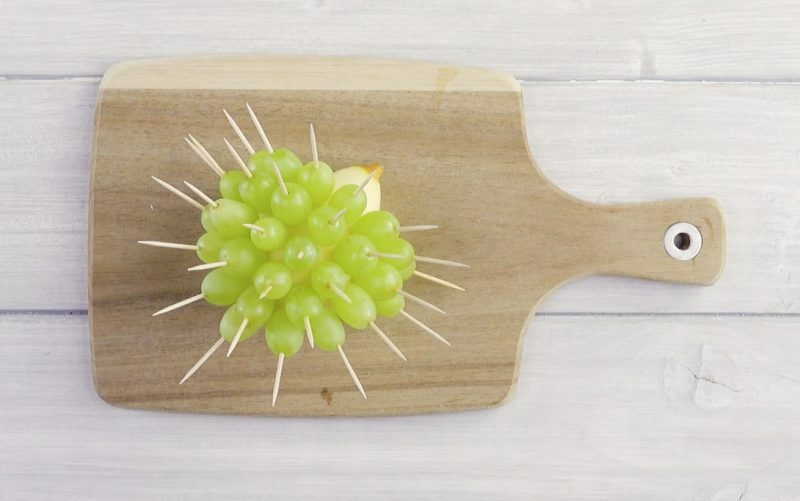 Put one grape on each toothpick and stick the toothpicks in the pear, as shown in the video. 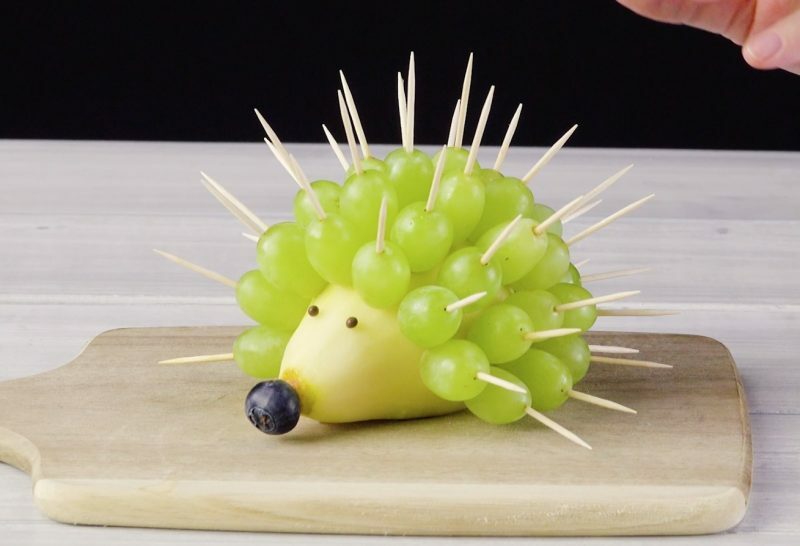 Save the tip of the pear because it will be used as the hedgehog snout later. 2. Attach a blueberry to the stem of the pear and stick sugar pearls on the peeled part of the pear to serve as eyes. Now you're ready for your spiky treat! Spread the rice pudding out in the shape of an oval and flatten it with the back of a spoon. 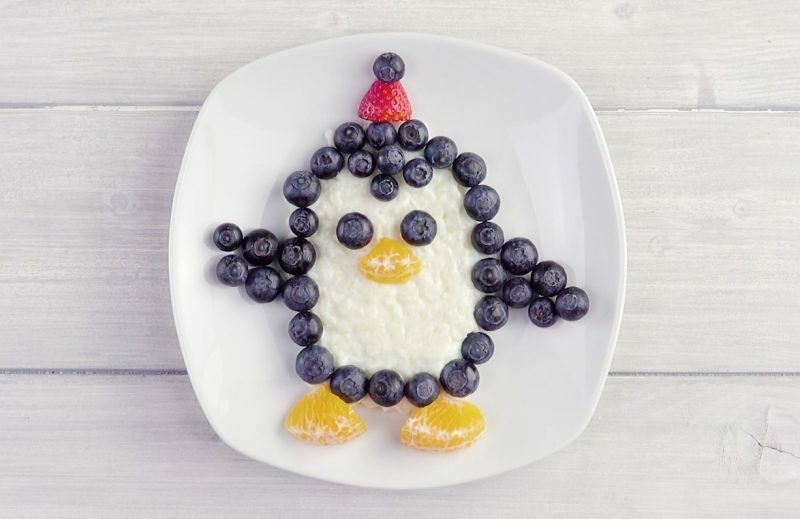 Line the rice pudding with blueberries and add: two blueberries for eyes, one clementine piece for the nose, two clementine pieces for the feet, and half a strawberry for a hat. 1. Cut a section out of one peach half to create the head. 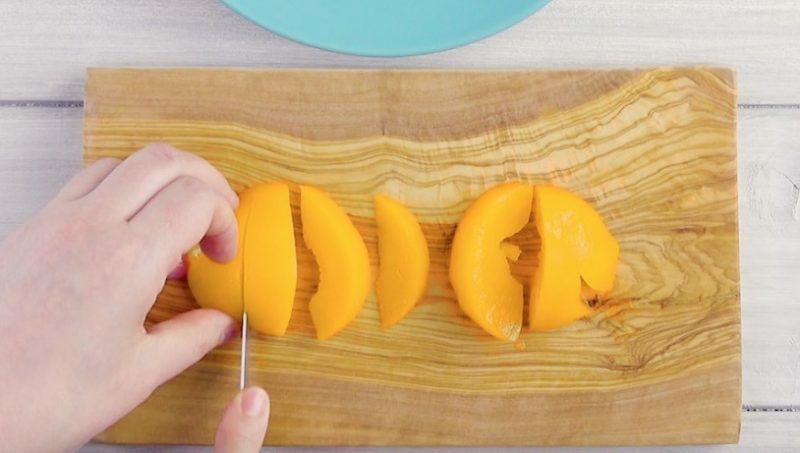 Slice the other peach half to create the body and fins, like in the picture below. 2. 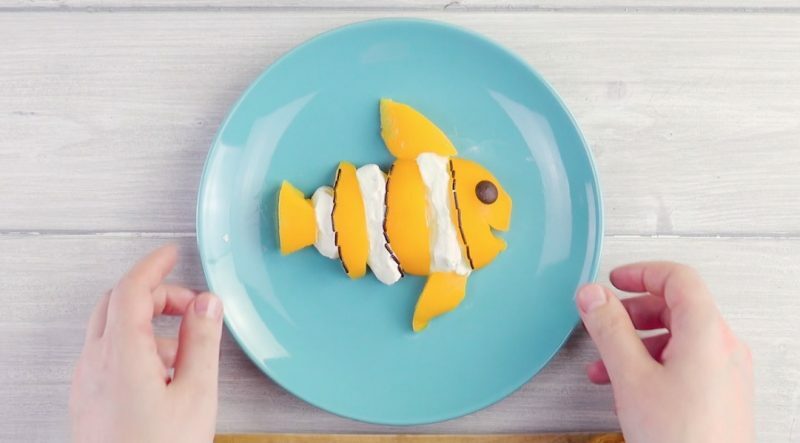 Assemble the fish by alternating peach slices with yogurt strips. Add the chocolate drop as the eye, and add some chocolate sprinkles to accentuate the "fish scales." Looks like you finally found Nemo! Now that you have 5 different finger food options, you might want to consider taking one of these to a tailgate party or work get-together, because it's not just kids who will adore these snacks.